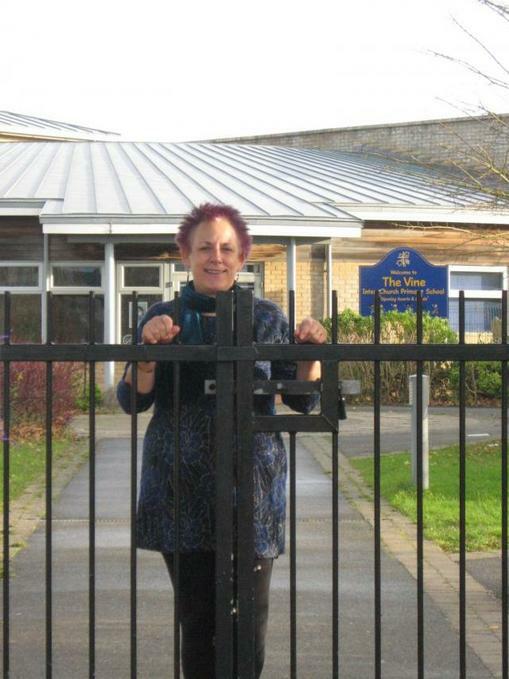 It hardly seems possible that The Vine School is now in its 13th year; it only seems like a blink of an eye since the first piece of turf was cut in 2005 when there were no roads, no services and no houses in Upper Cambourne! That first year was such an exciting time; the school building took shape whilst we grew our school in 4 temporary classrooms. Our school family expanded quickly, from 88 pupils on our opening day to 140 by the end of our first year. Remarkably, we still have families connected with The Vine who were there on that momentous opening day – and members of staff who were our pioneers. They have offered such loyal support and it is their faith in the vision for The Vine that has helped to create the strong foundations of the vibrant school that now exists. It has been such a privilege to be the first Headteacher of The Vine and I am obviously sad to be saying goodbye to many friends and colleagues, as well as excited at the thought of having more time to sit, think and enjoy life! Over the last week I have been very touched by the generosity and kindness of so many people and I will treasure the beautiful gifts and messages I have received. However, the greatest gift of all has been spending my working life with children. Their enthusiasm for life, zest for learning and unconditional love has been a continual source of inspiration to me and has given me the strength and determination to do my job, and to stay relentlessly enthusiastic! I will miss them hugely. Lee Faris will be the Headteacher from January 2018 and I know he is looking forward to getting to know Cambourne; I am sure that you will all offer him a warm welcome. In conclusion, I would like to wish everyone associated with the Vine Inter-Church Primary School and everyone in Cambourne a healthy, happy and exciting 2018.